Thank you very much for appraoching CareerGuide.com which is the exigence provides you broad spectrum light for your career ahead. 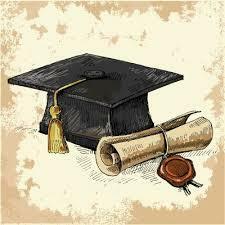 I am highly impressed with your career goal and specifically you have mentioned science background for law study is very significant for your future career. In general at mass scale level exclusively in Bihar, UP, MP and other north and centre states people prefer law education on a lighter mode when they think I am good for nothing. I wish I am wrong where a serious candidate with sound academic record is needed for such challenging and sensitive profession, entire civil society looks for the mediation of law practitioners from different specialization like crime, civil, human rights, constitutional etc. Anyway come to your candidature you have a long way to go and must join the law study which could be taken by any aspirant from any background. Though I will encourage you to go with science aspect and must understand that how your science will help you towards the law at LLB and LLM level. Before coming into this stage start to explore the law institutions like Delhi University, Amity University, [several other prestigious institutions which cater the course at international standard] so your future credibility will score the best in job market, only layer or pleader is not the goal of such study you can be the legal counsel of many private and public firm, [bankings, commercial sectors]-like Tata Consultancy. Here you are advised to take this study with scientific temperament if you are inclined in science so that your future with law and science background will give you an impressive exposure in scientific ethics and legality oriented jobs either in private sector or govt sector rather you can take flight to abroad for international career. With the scientific background you can advocate on behalf of scientific ethics where you can argue for environmental issues, genetic ethics, global medical sciences etc. Keeping all these factors in mind you go for admission in twelve class with maths or biology, physics and chemistry then go for graduation in the same stream. After graduation you must appear in entrance test then take admission in law at any prestigious college. Dear aspirant,many thanks for your question, In fact you have asked a practical question, where the student is in dilemma and could not decide, which career path he or she should choose. As you have mentioned in your question, that you wish to become an advocate and you have interest in science. In fact this could be a could combination of a successful lawyer. Now you will get admission in 11 standard, therefore, you should go for science subjects like physics , chemistry and biology. Her I am specially mentioned biology and not maths, the reason being that at certain stage of lawyer practice he or she encounters many cases where knowledge of biology is very important to understand and solve the typical cases. On the other hand, the lawyer now a days does not mean to look after the normal criminal or civil cases. There are other local, national and international issues such as patenting of process or products, environmental issues, socio biological issues and many more. Your knowledge of science during 11 and 12 standard will give you an outlook for science. You will understand the basics that you will employ during your practice at any stage. After passing 12 with very good marks, you try for CLAT (Common Law Admission Test) exam and after passing it you will be eligible to get admission in top Law colleges or universities in India. In fact the admission in Law through CLAT is very prestigious. If you get good college, then you will have better exposure of the subject and yow will be groomed during your degree program. In India there are fourteen Law Universities which offer various five years intergrated courses in Law. The common examples are BA LLB, BSc LLb, BBA LLB, BSW LLB, BCom LLB (Honors). To be eligible to appear in CLAT exam, one should have 10+2 from a recognized board with 45% marks for SC and ST candidates it is 40%) and should be below 20 years of age (22 years in case of SC, ST and Physically disabled persons). After selection through CLAT in any university and then after graduation the post graduate course in Law (LLM) is availble for any one who scored 55% marks in LLB (50% for SC and ST category candidates). Now you have decide that you wish to fulfill your dream of LLB through CLAT (means prestigious universities) or through normal procedure. Thank you for choosing Mera career guide and writing to us. I understand your interest and I highly appreciate you for being confident in terms of law. However the conflict of interest arrives when you are also interested in science. I can advice you two options. I understand you are a 10th standard student. You have ample time to decide on your career though it is good to say you like law and science at this age. Students interest evolves as time progress and therefore it is necessary to give considerable time until 12th level. But if you are too much concerned of your career, then as I said you can take on either of these two steps. 1. Opt for Science group in 11th and 12th. - This means you should study PCB Physics, Chemistry and Biology at higher school level. WIth this route you can do a three year science degree like the BSc Physics, BSc Chemistry, Biology, Biotechnology, Micro biology, Molecular biology, nano biotechnology, Bio chemistry, medical or industrial biotechnology and many more. This way you can fulfill your love for science by studying a science oriented degree. AFter this BSc Science related degree, you can pursue a Bachelors of Law degree. The basic requirement to join a law college is however a basic bachelor degree like the BA/ BSc/ Bcom. With this said, your BSc science would be an ideal choice. 2. Opt for Commerce group in 11th and 12th: If you are not keen in studying science and are not very sure if you would like to study a science related degree, then choosing Commerce group in school level and then doing a BA Economics or a Bcom degree. Studying these degrees will not consume more time as a science degree does. A science degree college may run full day wherein a commerce college is most often only half a day. This will give you ample time to prepare for law college entrance tests. To get you correctly focus on your interested career and not get detered to some other wrong path, it is advisable to do a psychometric assessment from this website. This test will recommend you if you are suitable to science careers or a law career as your destination. If your heart desires for both subjects, then please feel free to study a BSc Science degree and then study a Bachelors of law degree. This way you can achieve your desire career. Good luck. 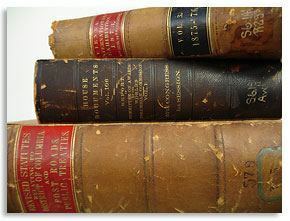 Law is a very different subject altogether and actually is not realted to any of the streams of arts, commerce and science. Studying law requires altogether different mindset and attitude and there fore I can definitely say that you can opt for Science or Commerce or Arts (Humanities). Your graduation background has nothing to do with Law studies. Legal field has expanded very much and now there are more career options in legal field too like cyber crime, intellectual property, etc apart from the conventional and famous civil or criminal or family law. You say that you are interested in science but also want to become advocate. Being interested in science is a good thing and actually this suggests that you have analytical mind. This is also required in law studies as well. You can definitely opt for Science stream after your SSC (10th). After 12th Science you can go for integrated courses in law like BA LLB, BBA LLB. This is a five year integrated course in law. OR you can also go for Law studies after graduation. You will then have to do LLB. I would also further recommend you to do LLM which is now a one year course instead of the previous two year masters course. Just ensure that you do your LLB course from a recognised University and Bar Council of India approved Institute/college only. **Just to let you know that there is no distance learning or part time course of LLB anywhere****. Its good that you have the passion for law studies and aim to become an advocate. Good to hear you have interest in both Science and Law subjects. However to take the first step, studying Science will keep you fit all career life as your future decisions will definitely be based on this first degree. As you have mentioned you do like Science, I would sincerly advice you to choose a science stream at school. I see you are currently passing out of your X class. So, study science subjects at school and therefore ideally pick the Physics, Biology and Chemistry group known as the PCB group or else the PCMB with Physics, Chemistry, Math and Biology. However as you have interest in being into law in future, I would say studying a three year science degree is more sufficient rather than doing a four year Engineering degree in science. So I would advice you to choose the PCB group and ignore Maths. Completing your schooling with the PCB, you may then choose to do any three year degree in Science like the BSc Biology, Botany, Zoology, Physics, Chemistry, Genetics, Biochemistry, Biotechnology, Plant biotech, Animal biotech, Industrial biotech, Medical biotech and many more. It is not really required to have studied any of these above mentioned subjects. You may still try to study any other three year degree course like the BA History, geography, Music, Arts, Economics, English with literature, Languages, Foreign languages, Maths, Political science, Journalism, Sociology, Psychology, Social work and many more. Ideally to become an advocate, you need to have completed your schooling and also have done a basic graduate degree and a three year degree like the BA/ BSc/ BCom are more than essential. So being done either of the bachelors degree you are eligible to apply for Bachelors in Law at a law college in India. The top colleges for Law in India are listed below for you. It is a fact that no study goes waste.Education has no limit and no age bar.You should not go against your interest.You should take Science subjects.I happy to note that you have a goal to fulfill your interest.After completion of graduation in any stream you should appear for competitive exam and take admission in Law College in Pvt.or in Govt.College under University.You will be on track and do well with all sincerity.Also interact with students,faculty of Law College,advocates to get best of guidance and advice.